SEPCO’s Mike Evers attempted to fill vacant skilled machinist positions at his company for two years. This unmet workforce need was felt by not just SEPCO but a myriad of other companies around the region. Mike Evers, vice president of manufacturing at Sealing Equipment Products Co. Inc. (SEPCO), had been looking to fill vacant skilled machinist positions at his company for 24 months. He wasn’t alone. Evers attended a roundtable discussion last year where he and other employers, including Alabama Plate Cutting and Precision Grinding, talked about issues, including a dire need for skilled workers. 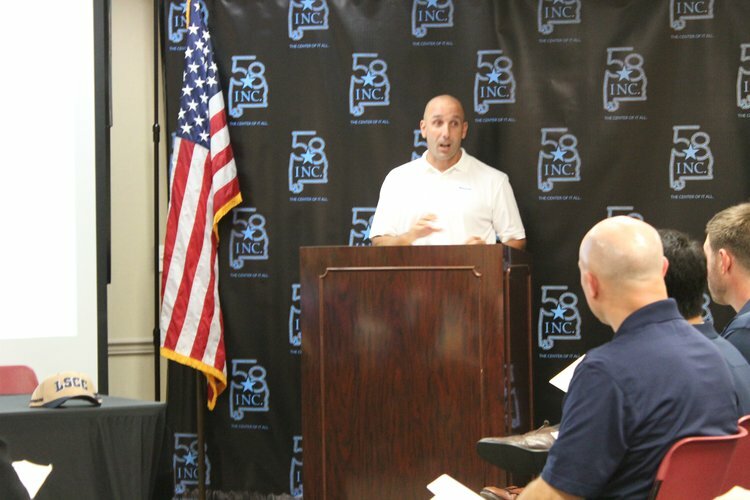 The three companies decided to take part in an apprenticeship program called the U.S. Department of Labor Machine Tool Technology Registered Apprenticeship for Computer Numeric Control (CNC) Machinists, launched last week by 58 Inc. and the Greater Shelby County Chamber of Commerce in partnership with Lawson State Community College and a consortium of local employers. The companies offered full-time work to eight individuals who will take evening classes at Lawson State to complete the apprenticeship. The program lasts for four years, including three years of coursework and one year of on-the-job training. Sam Ross is one of the eight apprentices who will work full-time while attending evening classes at Lawson State Community College. “I feel extremely blessed,” said Sam Ross, one of the apprentices. 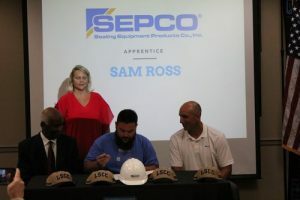 Ross will continue to work at SEPCO, where he has been employed for the past three years, while a part of the program. For every four CNC machinist job postings over the past year, there has been one position left unfilled, representing unmet workforce demand, according to data from Economic Modeling Inc. Among jobs frequently requesting CNC skills, CNC machinists are among the fastest growing. Since 2010, CNC machinists increased by 59 percent in the Birmingham region, higher than the national average of 53 percent. All eight apprentices will begin at the same wage, but based on performance and a progressive wage agreement, every semester their wage could go up. 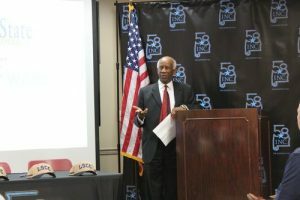 “Their entry level wage is more than I made when I graduated college,” said Yvonne Murray, managing director at 58 Inc., the economic development organization of Shelby County which, along with the Greater Shelby County Chamber of Commerce, hosted a signing day for the apprentices and companies. Last spring, career coaches at Shelby County high schools identified students who did not yet have a college or career plan, and those students went on industry tours to facilities. From there, interested students applied and interviewed for the apprenticeship program, and the culmination of the process was held this week. It’s a chance to earn while you learn, said Kevin Taylor, assistant director for prospect recruitment and training at AIDT, the state’s renowned workforce training program. Though this skill set is marketable across the country, the hope is to keep talent locally in Shelby County where there is a great need for skilled workers. “You can take it anywhere, but we want you to stay here,” Taylor said. This program provides an alternative to the traditional four-year college route, proving high school graduates don’t necessarily have to have a bachelor’s degree to have a high quality of life. SEPCO’s Evers emphasized that these eight apprentices will have zero student debt and be able to pay off their cars and put a down payment on a house while still getting an education and doing meaningful work. Dr. Perry Ward, president of Lawson State Community College, said apprentices could be making a six-figure salary in less than five years. Murray said this is the first iteration of a CNC machinist program she hopes will be around for years to come. Taking data from a workforce needs survey issued by 58 Inc., every year the organization will pick a new workforce shortage and address it, she said. Dr. Perry Ward, President of Lawson State, said within three to four years post-apprenticeship these students could be making a six-figure salary. This combined with no student debt will change the quality of life for these apprentices and make a real difference, he said. The numbers prove a degree isn’t necessary for success and the focus is on career paths not four-year degrees, said Alex Dudchock, County Manager of Shelby County. “The only limitation is the degree of effort,” Dudchock said.